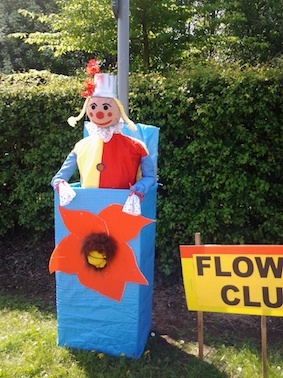 The 5th annual Farnsfield Scarecrow Festival and Fun Day will be held on Bank Holiday Monday 6th May in the Old School Field, Chapel Lane, Farnsfield. There will be a display of scarecrows throughout the village, and from 10.30am to 3pm the field will have a mixture of stalls, face painting, messy play, and during the afternoon a Children's Entertainer, as well as other delights. Do come along and meet your friends and neighbours, and perhaps make new friends.